For awhile I’d been trying to find a no heat hair straightening technique. YouTube never let’s you down or google. Anywho I found the perfect video for it from @ImShineStruck. I didn’t use the exact same products as she did but everything else was the same. 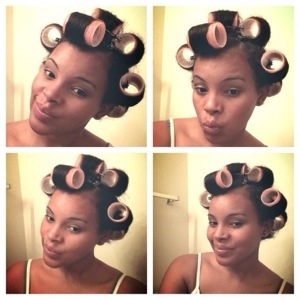 But those rollers are awesome! I was a little skeptical about my results because it’s raining outside and my hair is so thick and will curl back up the minute water hits it! But I loved the results! I have to reiterate what she said in the video about the fact that this may not work for everyone and it is a long process that you should probably start the night before and if you have time in the morning to roll your hair up. 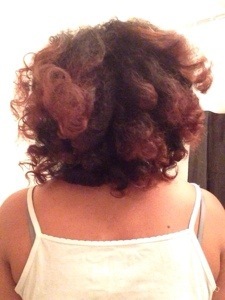 Yeah you’ll pretty much need time for this style but the results are worth it! 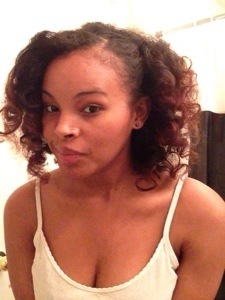 As always being natural is about trial and error! So give it a try and see how you like it. 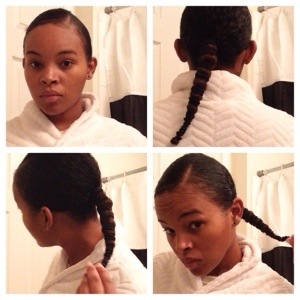 This entry was posted in Protective Styles.